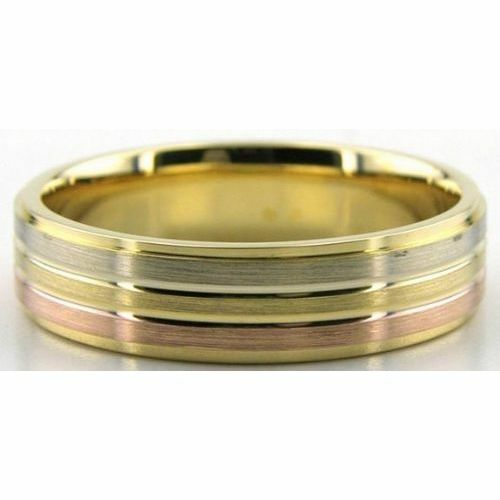 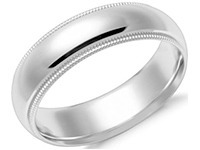 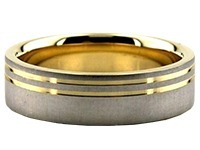 This 14k Gold Tri-Color Wedding Band is 6mm wide and approximately 2mm thick, and is rounded on the inside, creating a comfort fit for daily wear. 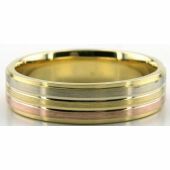 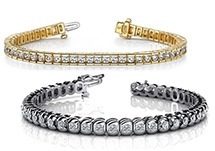 This exquisite design is crafted with three gold colors, yellow, rose and white gold in a beautiful combination highlighting each color. 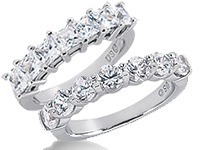 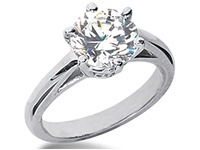 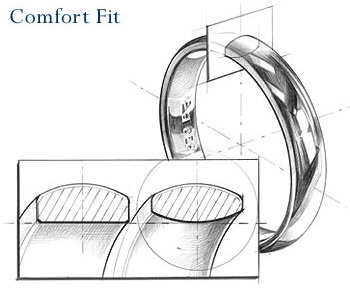 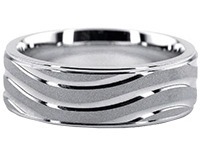 This ring is comfort fitted so the ring feels more comfortable. 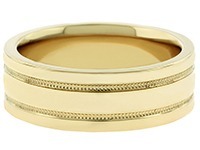 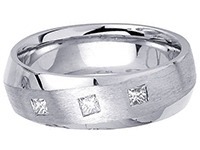 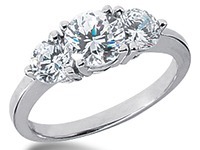 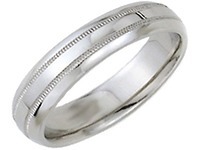 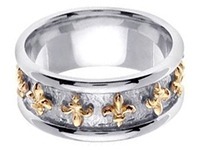 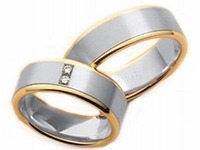 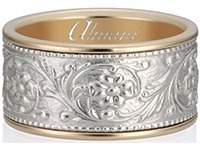 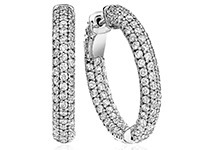 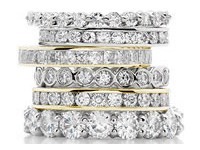 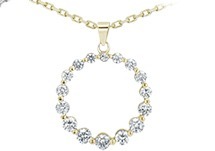 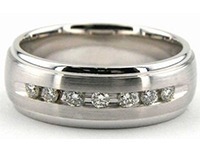 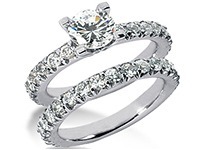 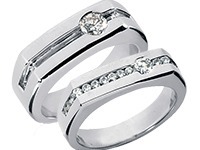 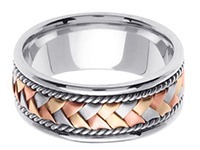 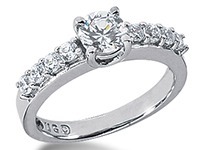 This ring has a satin finish with diamond cuts separating the alternating gold colors. 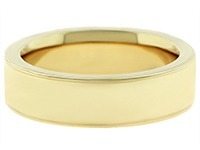 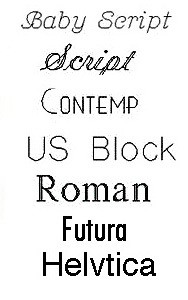 Add contrast by creating the gold colors in an alternate finish such as a matte or soft brush finish. 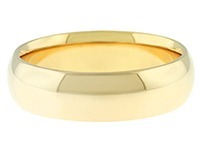 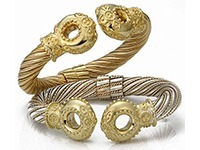 You can also create the base ring (shown in yellow gold) in another gold color such as white or rose gold.